I am using more digital sources than ever in my study. It is interesting to me that the MORE I have paid for something… the higher the level of aggravation. First of all, Biblegateway is free. It’s beauty is I can look up Scripture quick, it has a huge number of translations, and it could be utilized to store online study notes. I have already done study notes elsewhere, so I don’t use that resource, but it’s a nice tool if you haven’t connected with any way to keep your notes and thoughts. Then there is Olive Tree. This is the one I use the most. It syncs across all platforms and is BEST on mobile apps. It’s terrible on the desktop. It’s not agreeing with Windows 8.1… but then again, what does? For mobile, it’s huge. I can store all my notes, utilize study tools that are very affordable, and, best of all for me, I can sync all my notes to Evernote, which is my catch all notetaking systems. Olive Tree has a ton of free stuff, so it costs very little to get into some decent study materials. There is also Logos. It is a huge software package system meant for the desktop. It is GREAT with desktop computers. The sources are immense. While it is somewhat better in the mobile application, it is still lousy. Just one small frustration: If I put a note into a verse using NIV, it only saves that note in the NIV. If I switch to ESV, CEB, NET, ANY other translation… the note disappears. That is just dumb. Olive Tree keeps the note in the verse, regardless of the translation. Which is why I leave the “Porsche” parked in the garage most of the time and utilize the Ford and the Dodge much more often. Digital is just plain useful, and far more useful now since I can have huge libraries sitting on my cell phone instead of lugging around big books. But when one would normally think, “You get what you pay for” is a nice mantra… in this case it doesn’t compute. A recent BibleGateway poll found that people still like taking a physical Bible to church. Overwhelmingly. I haven’t found that percentage to be SO high in our church. There are a good number of people using their phones or tablets now. But we still have a majority using physical Bibles. While I am getting more adapted to putting notes into a digital format Bible, I still love holding a physical Bible when I teach and preach. Occasionally when I add in a text reference I link the text to Biblegateway.com. I am part of their “blog gridder” team, which means… well… I have no idea what it means. Just a badge to put on my blog and make me look cool. But Biblegateway is an excellent tool for online Bible resources. I use it to compare translations often. It is the place I go to cut and paste Scripture for my sermons and our Sunday readings. They are getting ready to launch their new look and have given permission to spread the word. I think it’s a nice upgrade. While I use another resource for inline notetaking, the Biblegateway feature of inline notetaking is truly nice. Adding in highlights is great. Check out the resources and enjoy a wonderful (and FREE) site. Over the years I have done a very bad thing in the eyes of scholars. I have drifted more toward translations that work to make the text more readable. For ESV, NASB, NRSV, and RSV lovers… I am a heretic. For KJV only people, I’ve been apostate for years. I still use “word for word” translations, but for preaching and group study, I look more toward less formal and more readable. I still want “accurate.” But in translation, that is simply a moving target. I just don’t want someone who is fairly new in the faith to try to have to “translate” an English word or phrase! The “nakedness of the land?” What? They came to hit the strip clubs? One great function of BibleGateway is the parallel translation feature. I put three translation options HERE. The beauty of several translations is realizing we can have accuracy AND clarity. It’s not always “word for word,” but it WILL communicate the truth of the passage. One of my favorite “go-to” sites for quickly accessing translations is BibleGateway. They also have apps for your smartphone. I like it on my computer because when I need a quick reference to view a verse in several different translations, this site is the easiest for me. I can type in the reference and go to it, then add parallel passages easily. They have an incredibly thorough list of English translations. They were also one of the first to utilize the Common English Bible, which is one of my favorite newer translations. They also have decent study aides. One of my favorites is the IVP series. It’s nice to have a quick synopsis of what is going on in the passage. BibleGateway is the busiest site for Bible reading for a reason. For me, it’s because it offers the quickest access to a wide range of translations. It’s the first Sunday of Advent, so for the church… HAPPY NEW YEAR! The Church has been on a different calendar for centuries, but evangelicals and Pentecostals don’t always recognize it. It’s too much of a “dead ritual,” or some such thing. I’ve learned to appreciate these seasons, especially Advent and Lent, helping us prepare for Christmas and Easter then leading us to Pentecost. These are healthy rhythms. There are a couple of good resources to follow for the season. If you want to read Scripture every day in relationship to Advent, THIS SITE is always a good one. Biblegateway also has devotional readings you can sign up for as well. Take this season to anticipate the coming of our Lord! Remember his first Advent. Long for his coming again! Tons of deals to be had on Black Friday… which has successfully leaked (in the view of retailers, anyway) into Thanksgiving. I’m not here to mourn the loss of Thanksgiving. We’re a culture bent on compulsive actions and I’m not going to cure that in one season… or twenty. We want to shop for good deals and we are a nation of consumers… so, there you go. But in the Church we are called to a different calendar… a different rhythm. Over the past few years as I have tried to learn more about the calendar the Church has been on for two thousand years. It doesn’t always set well within my “tribe” of Pentecostals or evangelicals, but I am finding it embraced more as we realize it’s a rhythm not a dead ritual. We should march to the beat of a different drum. Our “counter-culture” desire doesn’t have to be in how we dress. But we should follow the beat of the One who reigns in our lives. His rhythm should matter. Over the centuries the Church has marked that rhythm so we are constantly reminded of the story of Christ, then the story of the Church. While we are in November and ready to open up December, we think on the cultural calendar’s term. It’s the end of the year. But on the church calendar, this Sunday marks the BEGINNING of the year. Our march now is toward a different Friday… Good Friday. 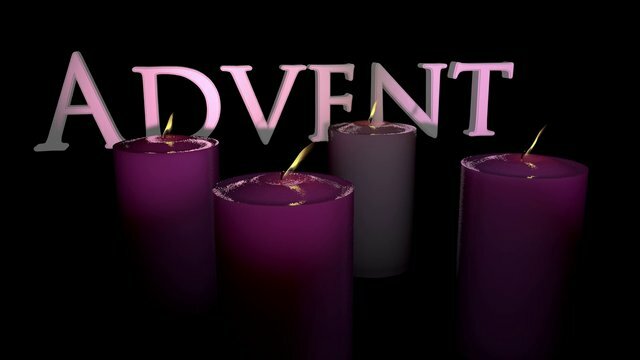 For the next four weeks we focus on the season called Advent. It is a time of anticipation. I have grown to love this season because it not only remembers the first coming of Christ, but it also calls us to reflect on his Second Coming. As a Pentecostal who grew up with A Thief in the Night, A Distant Thunder, etc., and a movement that spawned the Left Behind series, how could I ignore a season that calls me to focus on the Second Coming? It’s an open invitation! This season, let’s truly be different. That may be a harsh thought. But it’s the call of our King. I invite us to reflect differently. Let us come back to a season of anticipation. Let us long for our King’s coming again. Biblegateway has some great resources where you can reflect on the season. There are other excellent resources as well. Let’s pick up the rhythm of our King this season. You can even wait until after your Black Friday shopping and get to it this Sunday.